When the baby is too tired and unable to sleep low frequency sounds does help. It is what the babies hear in womb. 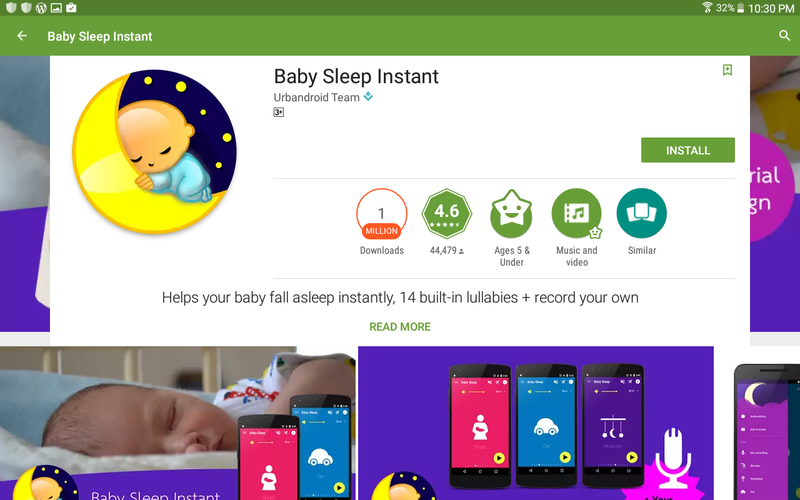 The App helps in making the baby sleep by playing sounds like Shower,Washing Machine,Car,Hairdryer,Shush,Fan,Train,Heartbeat, Sea,Stream etc. You can adjust the timer and record your own lullabies. Keeping the phone not too close to baby and putting the phone on airplane made is recommended. I guess babies should have a taste of Apps early in this age! I guess we have an app for everything!